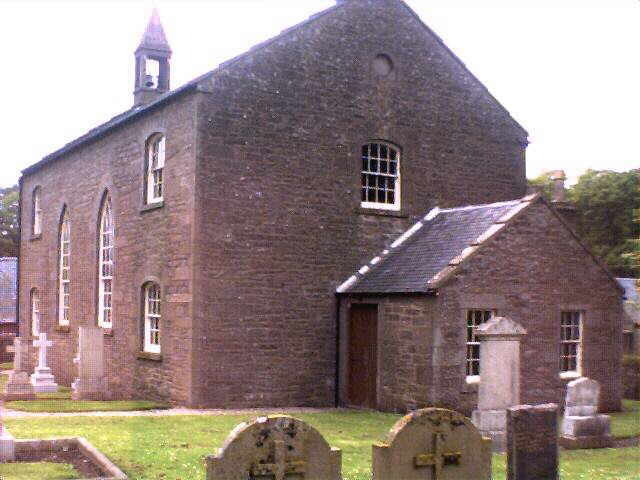 Some photographs of the Village, Kirk and Kirkyard at the neighbouring Parish of KINNETTLES, Angus, Scotland, taken 6th June 2000. 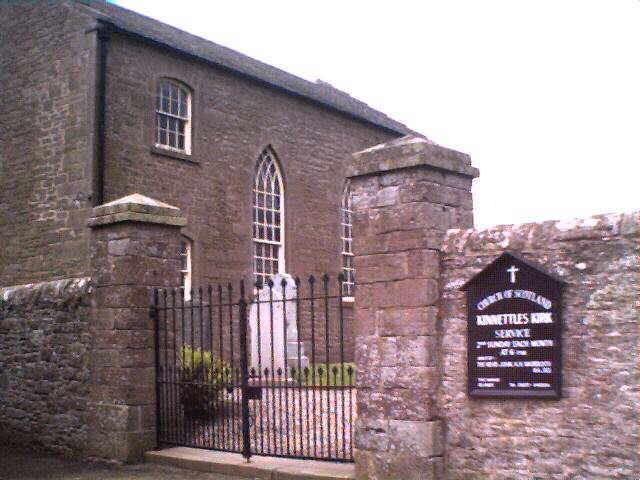 Kinnettles Parish Kirk, from the main gate. 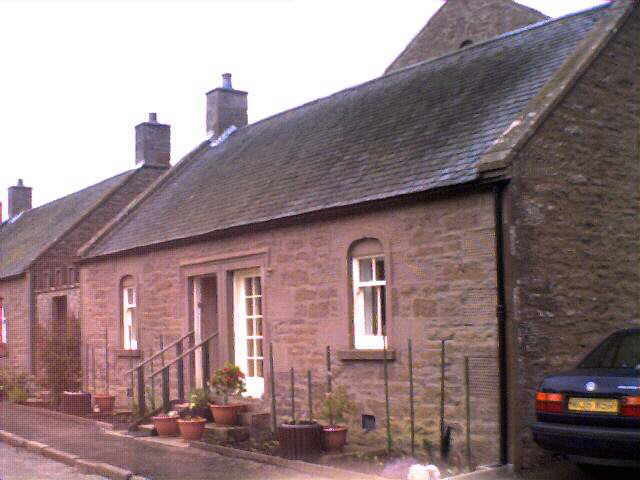 Two of a row of (originally) ten delightful cottages to the north of the kirk gates - the kirk at the back. 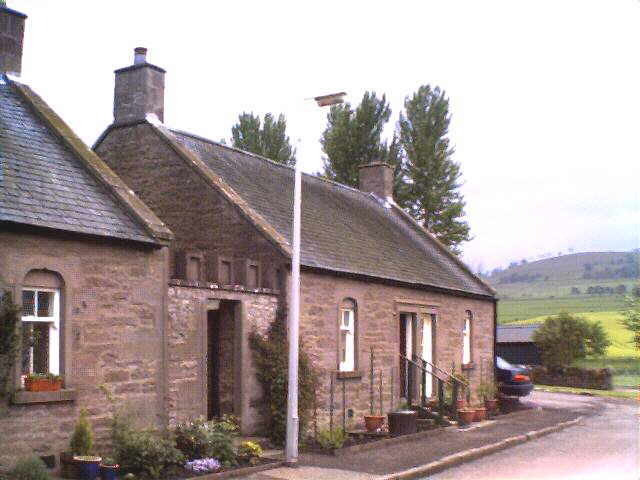 The same cottages, looking south. 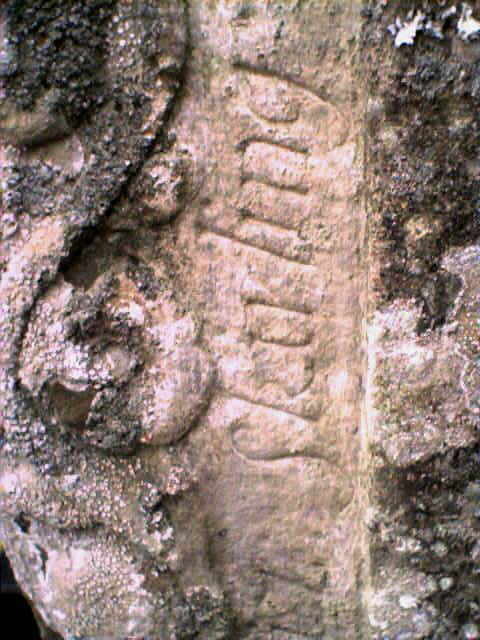 A close-up of one of the SKIRLING or STIRLING and other gravestones mentioned HERE, on this website. 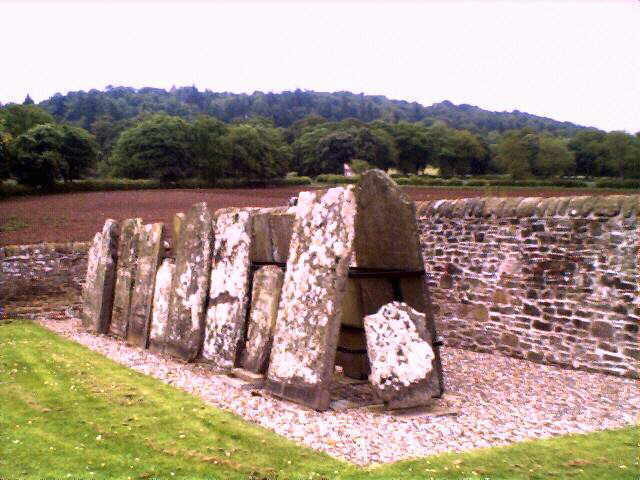 In the kirkyard, some stones which had been 'removed' on a much earlier occasion to rest against the east wall (shown) have been repositioned against a strong metal frame. The SKIRLING stone is one of those in the rear row of the frame and is not visible on this view. LOOK HERE for a comparison of reference numbers originally used in the Scottish Genealogical Society's book of Memorial Inscriptions for Strathmore, Angus, and the positions after the removal (1992?) against a steel frame in the kirkyard (photo). Kinnettles Parish Kirk - the east-facing gable wall and part of the kirkyard. 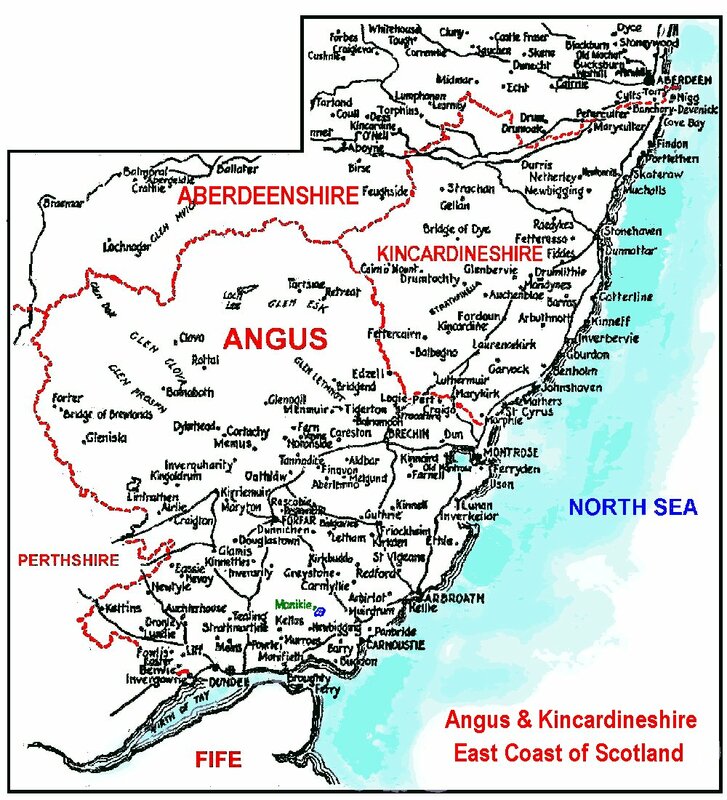 You may also wish to look at the official KINNETTLES HERITAGE GROUP'S WEBSITE for much detail about the area, and Inverarity too.